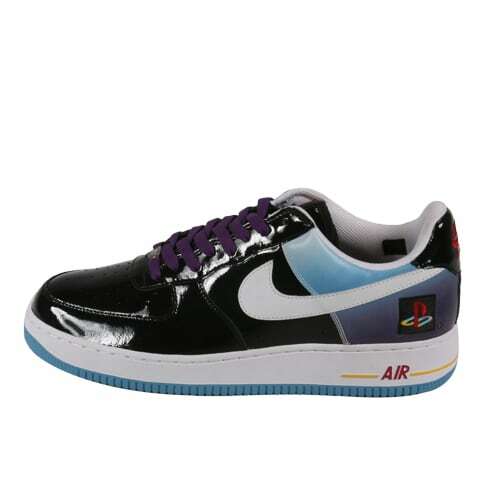 Nike Air Force 1 "PlayStation"
"I got those, maybe in 2005. I got in touch with one of the guys that was close to someone at Sony and I was like, 'I need a pair of those.' He hit me over the head for the first three, but after he saw that I was official about it, I told him I needed 15 more. I sent him the cash and he sent me 15 pairs, I was wearing those shits like every day. Wherever I was, I had them on. You know how hard it was to get a PlayStation when I was little? I'm from Brownsville so it was like, 'PlayStation?' You had to go to somebody's house, somebody who wasn't even your friend, just to play."